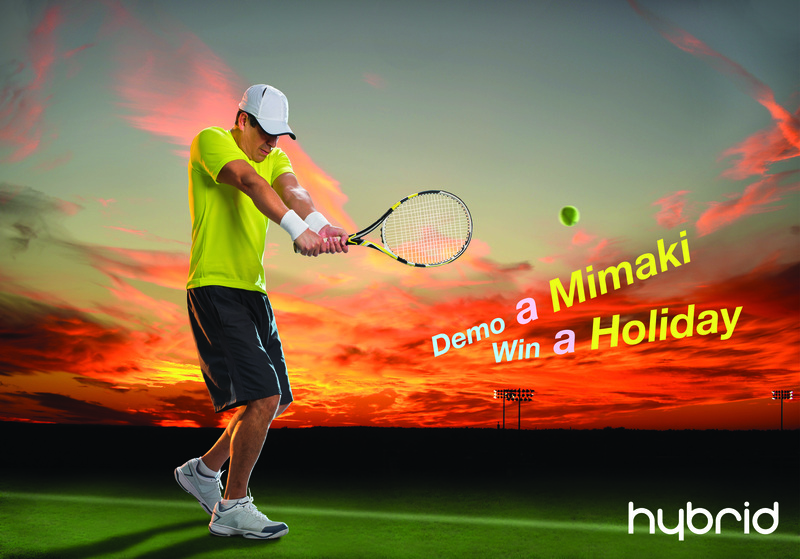 Take a Mimaki printer demonstration at the show and win a holiday as Hybrid celebrates its 20th Birthday. Celebrate a Summer of Sport with Hybrid by entering their free competition at Sign & Digital UKIts Birthday wishes all around as Hybrid Services Ltd celebrates 20 years old. To kick-start the party atmosphere, Mimaki’s exclusive UK and Irish distributor has announced a fantastic free competition for the forthcoming Sign & Digital UK exhibition. All visitors have to do is partake in a Mimaki printer demonstration with one of the company’s authorised resellers during the show and they will receive a ‘Sporting Ticket’ that could win them a holiday at Club La Manga in southern Spain, worth up to £5,000. Hybrid’s Sporting Tickets not only enter visitors into the competition, but also ensure their involvement in the company’s promotions for the show. Hybrid is using the exhibition to not only celebrate its 20th birthday, but to launch two important new printers for Mimaki – the 3.2m LED UV UJV55-320 roll fed machine that had its European launch in March and the mid format UJF-7151plus flatbed boasting a unique combination of ultra-high quality and productivity. The company will also show the MTEX Blue all in one dye sublimation printer with inbuilt fixation for the first time, along with core sign and graphics solvent printers and integrated printer/cutters. Hybrid can be found on stand E10 at the very entrance to the exhibition.